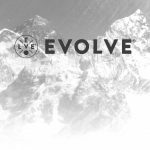 CytoSport is expanding its protein offerings this month with Evolve, a new complete line of protein powders, bars and ready-to-drink, shelf-stable shakes. The entire vegan-friendly platform, which contains no gluten, soy, or dairy ingredients, is made with non-GMO pea protein. 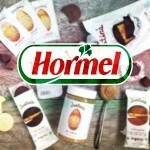 Demonstrating the ongoing interest in next-generation food brands, CPG giant Hormel today announced the acquisition of natural nut butter and snack maker Justin’s for $286 million. 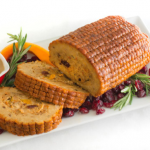 Justin Gold, Founder of Justin’s, told Project NOSH that the brand admires Hormel’s success and looks forward to learning from the larger company. 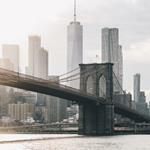 Parabel USA Inc, winner of the 2015 IFT Innovations Award for its LENTEIN plant protein, and Barentz proudly announce the signing of an exclusive worldwide distribution agreement for Parabel’s novel range of plant based protein ingredients for food and feed, as well as for plant based personal care ingredients. Upton’s Naturals, a pioneer of flavored seitan, is introducing a Classic Burger to its popular lineup. Crafted to have an impressive meat-like texture, this new, wheat-based Burger is perfectly seasoned to mimic the all-American patty. Chapul, the first-to-market creator of cricket energy bars, launched two new cricket protein products at the 2016 Natural Products Expo West. 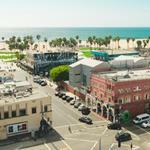 The company is adding a protein cricket powder and an all-purpose, high-protein baking flour to their sustainable, nutrient-dense,cricket-powered food line. Tempt offers a few more reasons to believe hemp truly is a miracle food. In addition to non-dairy milk, the innovative company adds two hemp-featuring line extensions and a new hemp-coconut milk blend all rich in omegas, protein and flavor. Vega has announced the launch of Vega Clean Protein and Vega Clean Energy — premium, clean, plant-based sources of fuel. Vega Clean Protein features 25 grams complete, premium multisource protein to help build and repair strong muscles and Vega Clean Energy is the clean, plant-based fuel you need to perform before your workout starts. 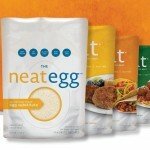 Just three years after its launch, neat foods, which markets plant-based, meat-alternative foods, has been acquired by Atlantic Natural Foods, a subsidiary of AFT Holdings. In an interview with Project NOSH, Phil Lapp, neat’s co-founder and CEO, spoke with Project NOSH about the deal.